This entry was posted in Medical information and Research Data, Poisoned Dental Fillings (mercury) and tagged ROOT CANALS on March 4, 2018 by Editor. 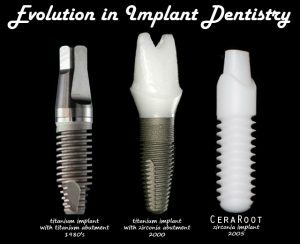 Titanium Implants and in food: Is it poisoning us? This entry was posted in Healing & Recovery Room, Poisoned Dental Fillings (mercury), RESEARCH, STUDIES, DOCUMENTATION and tagged dental, implants on February 9, 2017 by Editor. This entry was posted in Articles & Breaking News, Doctors Speak Out, MERCURY/Thimerosal, Poisoned Dental Fillings (mercury) and tagged amalgams, dental, fillings, Mercury on December 27, 2016 by Editor. VLA Comment: Not only does this occur for root canals but also for extracted teeth. Ordinary uneducated dentists do not clean out the ligaments causing these “cavitations”. I myself, am currently having multiply surgeries with a biological dentist to remove the decaying bacteria from the bone as seen above. This entry was posted in Doctors Speak Out, Medical information and Research Data, Poisoned Dental Fillings (mercury), RESEARCH, STUDIES, DOCUMENTATION and tagged cavitation on April 14, 2015 by Editor. Dr. Thomas Levy-The Doctor to go to! VLA Comment: Get to his lecture on “teeth”. A collaborator with Hal Huggins, he emphasizes how teeth can be the cause of a myriad of chronic illnesses, like MS, Parkinson. He talks about root canals and “cavitations” which are secretly present in anyone who has had his tooth pulled. Because dentists do not remove the tooth’s ligament bed, infections begin to eat the bone. Currently I am have several cavitations cleaned out which involves surgery by special biological specialists like Dr.Michael Margolis in Mesa Arizona. My cavitation over a pulled tooth has caused a subtle infection that is blinding my right eye as it formed a cellophane tent over the fovea in an attempt to protect my eye. Dr. Margolis has removed the infection material. In analyizing the infected material on just this one cavitation, I have 2 bacterial pathogens and an overgrowth of candidas that was causing the eye problem of which I will have to have epi retinal surgery to remove the membrane. I plan on making a visit to him in Colorado soon. If you have any sickness, illness or health problem, you must watch this lecture on cause of illness and Lyposomal Vitamin C.
This entry was posted in Diet and Nutrition, Doctors Speak Out, Healing & Recovery Room, Poisoned Dental Fillings (mercury), RESEARCH, STUDIES, DOCUMENTATION and tagged Dr. Levy, lymosomal, teeth, Vitamin C on January 5, 2015 by Editor. Mercury toxicity and intoxication (poisoning) are realities that every American needs to face. Both the Environmental Protection Agency and National Academy of Science state that between 8 to 10% of American women have mercury levels that would render any child they gave birth to neurological disorders. One of six children in the USA have a neurodevelopmental disorder according to the Centers for Disease Control and Prevention. This entry was posted in Medical information and Research Data, MERCURY/Thimerosal, Poisoned Dental Fillings (mercury), Pregnancy and birth, RESEARCH, STUDIES, DOCUMENTATION, Vaccine Injection Room on May 29, 2013 by Editor.